ONE: In a small container, mix 1/4 tsp. 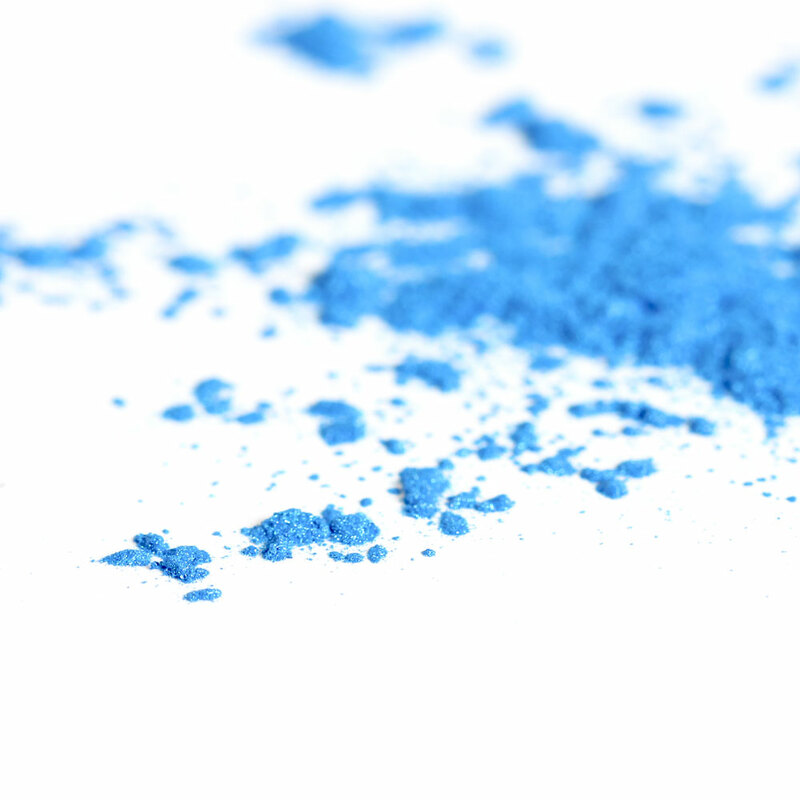 Caribbean Blue Mica into 1/2 Tbs. 99% isopropyl alcohol. Set aside. 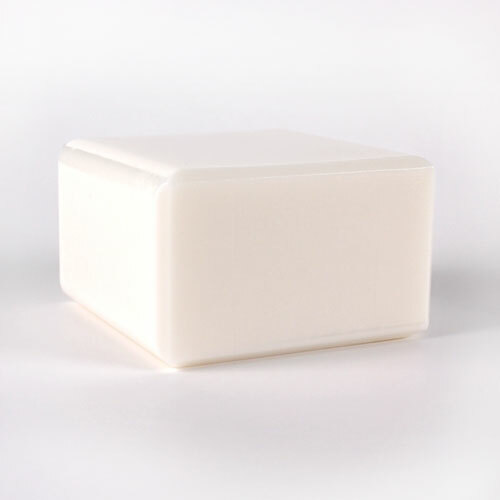 Chop and melt 15 ounces of the Stephenson Ultra Clear Soap Base in the microwave using 20-30 second bursts. Once melted, add the mica mixture and stir to fully mix in. 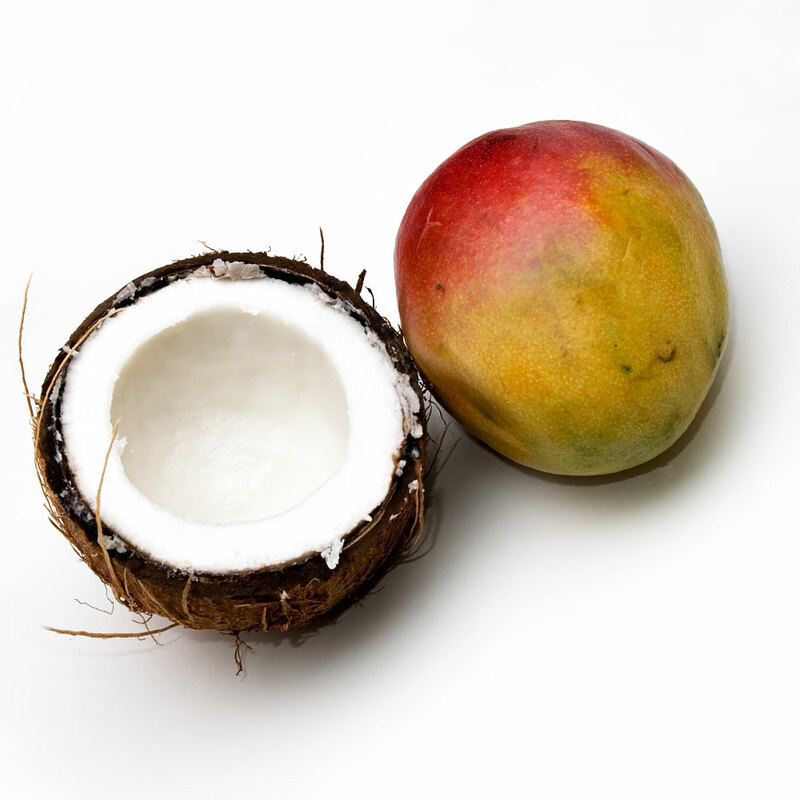 TWO: Add 10 mL of the Coconut Mango Fragrance Oil and stir in. Set aside. Chop and melt 6 ounces of the White Melt and Pour Base in the microwave using 10 second bursts. It’s easy to burn melt and pour base when melting such small amounts, so be careful to not microwave too long. Read more about how to prevent burnt melt and pour here. THREE: At this point, the white and blue soap should be around 125-130°F. At that temperature, the soap will be thick enough to create swirls rather than mixing together completely. Then, pour the blue soap evenly into each cavity. 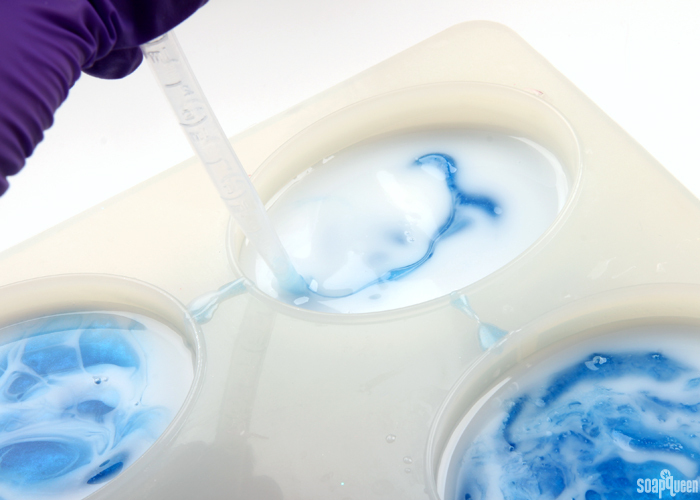 Working quickly, pour a small amount of the white soap into each cavity of blue soap. 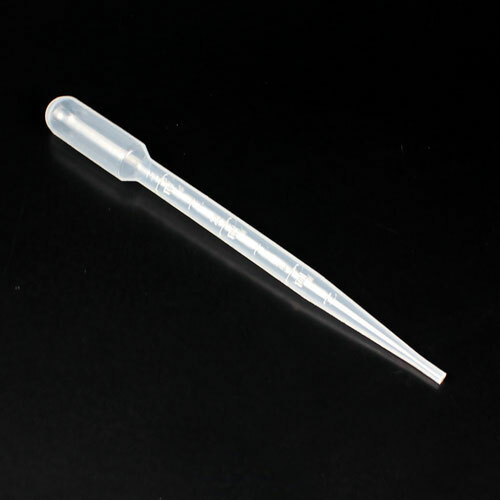 FOUR: Use a spoon, chopstick, dowel or other swirling tool (I used the dropper!) to swirl together the white and blue soap. Don’t worry if the bases begin to harden and start forming a skin. More soap will be poured on top, so an uneven texture is okay. 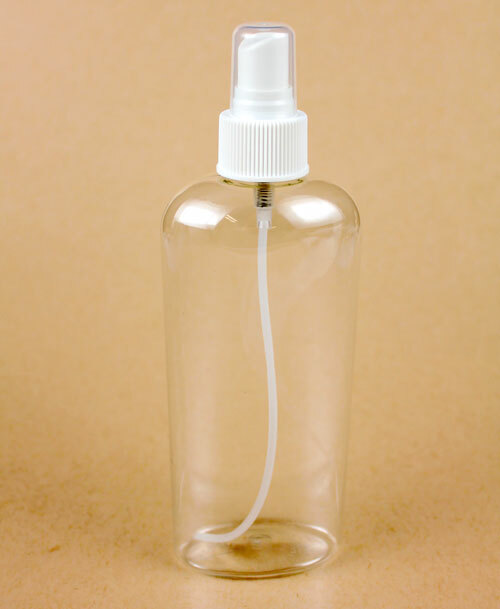 Spray with alcohol to help disperse bubbles. FIVE: Continue to work quickly. 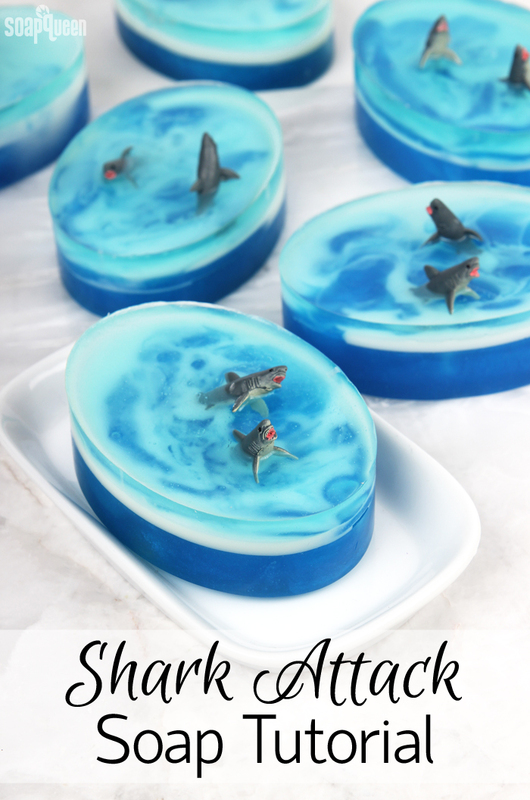 Insert 1-2 shark toys into the soap. 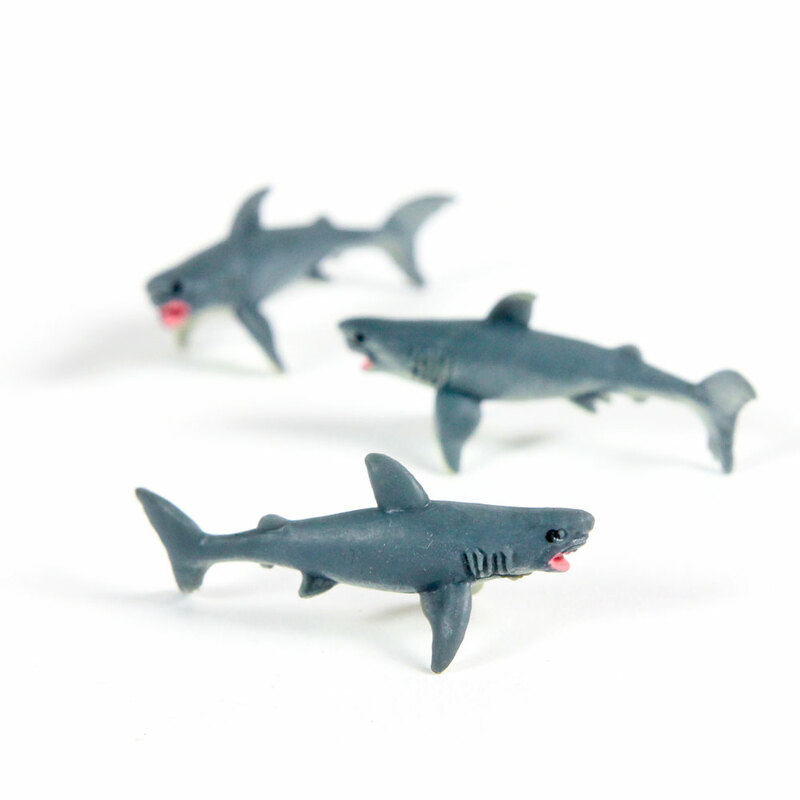 Please note these sharks are small and pose a choking hazard for young children. At this point, the soap will have a thick skin on top, but should be slightly liquid underneath. 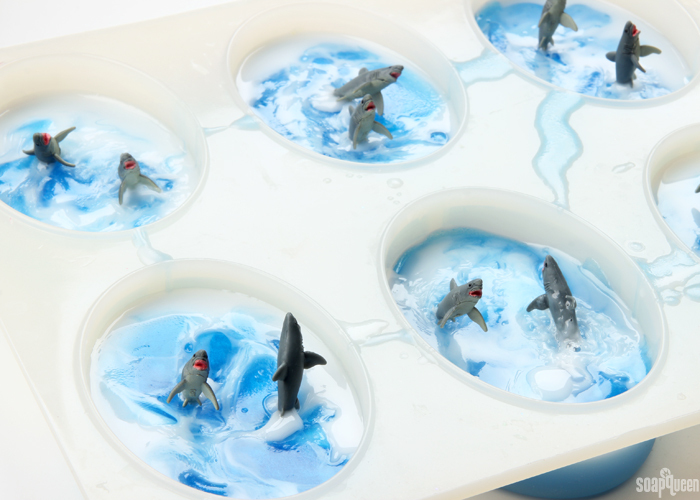 This allows the sharks to be inserted into the soap without falling down. SIX: While the soap cools, chop and melt 6 ounces of the Stephenson Ultra Clear Soap Base in the microwave using 5-10 second bursts. Then, add 1-3 drops of diluted Brilliant Blue LabColor. A little goes a long way! Stir to fully mix in. 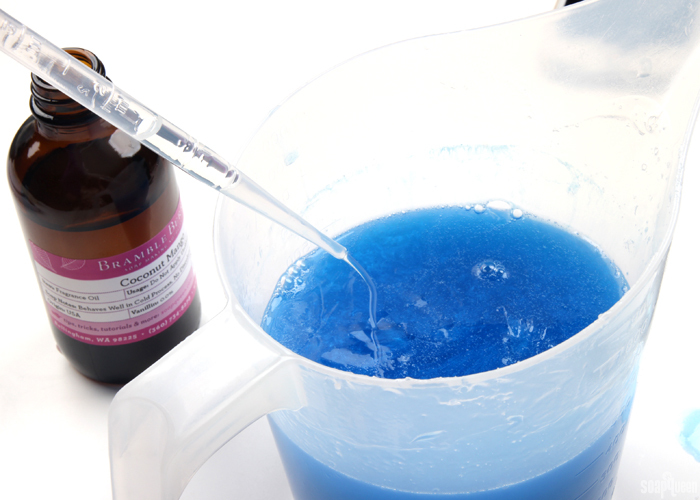 If you’re unfamiliar with how to dilute LabColors, click here to learn how. 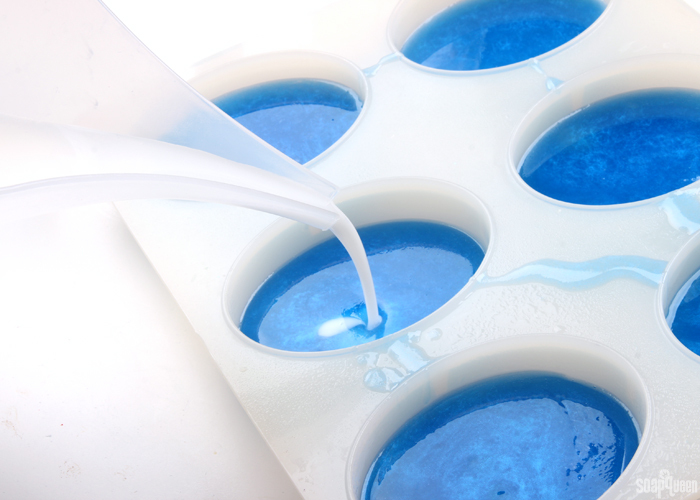 SEVEN: When the soap is around 125-130°F (so it won’t melt the layers below), spray each cavity of soap with 99% isopropyl alcohol to help the layers stick and pour the melted blue soap on top of each cavity. 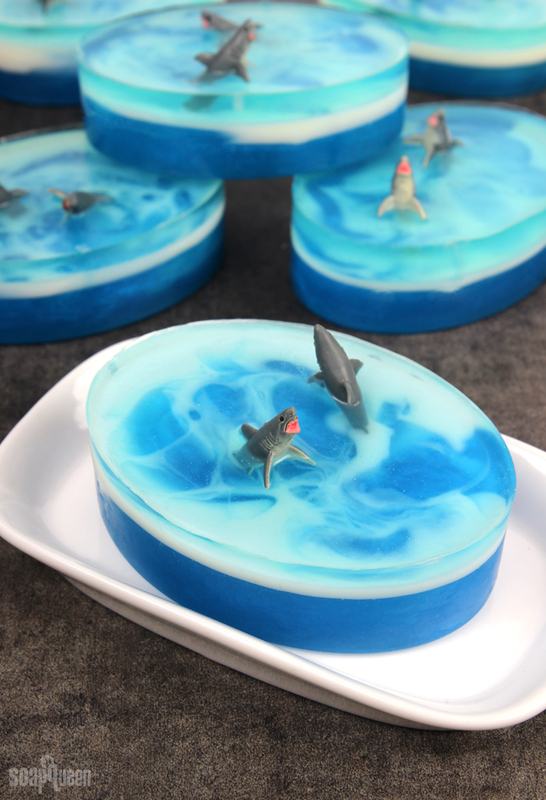 This layer will help embed the sharks into the soap, but their heads should still pop out. Of course if you want to fully embed them, feel free! =) After pouring each layer, spritz the top with 99% isopropyl alcohol to help disperse bubbles. Allow the soap to fully cool and harden. Remove from the mold, and wrap in plastic wrap to help prevent glycerin dew. Learn more about storing handmade products here. 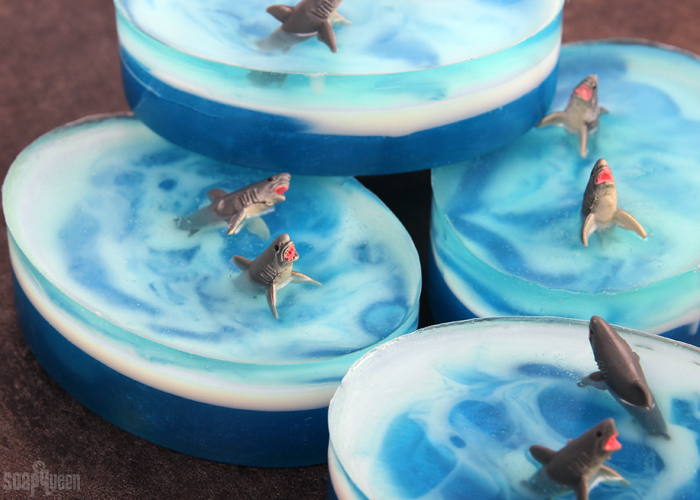 This shark soap is perfect for shark lovers! The shark toys are embedded into each bar to make it appear that the sharks are jumping out of the water. In a small container, mix ¼ tsp. Caribbean Blue Mica into ½ Tbs. 99% isopropyl alcohol. Set aside. Chop and melt 15 ounces of the Stephenson Ultra Clear Soap Base in thew microwave using 20-30 second bursts. Once melted, add the mica mixture and stir to fully mix in. Add 10 mL of the Coconut Mango Fragrance Oil and stir in. Set aside. Chop and melt 6 ounces of the White Melt and Pour Base in the microwave using 10 second bursts. It’s easy to burn melt and pour base when melting such small amounts, so be careful to not microwave too long. At this point, the white and blue soap should be around 125-130°F. At that temperature, the soap will be thick enough to create swirls rather than mixing together completely. Then, pour the blue soap evenly into each cavity. 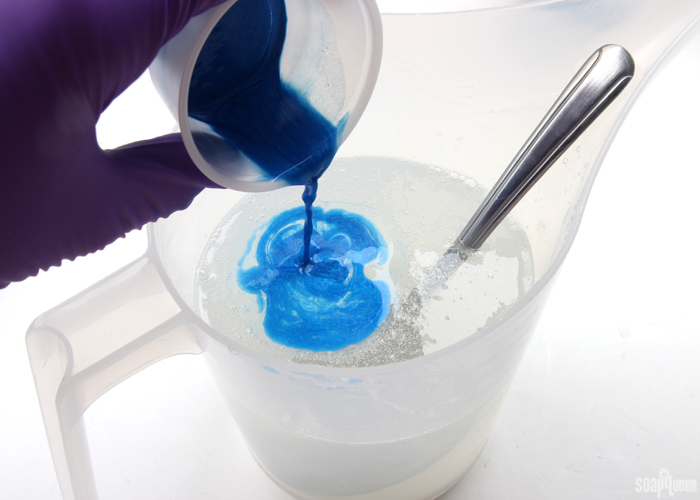 Working quickly, pour a small amount of the white soap into each cavity of blue soap. Use a spoon, chopstick or other swirling tool (I used the dropper!) to swirl together the white and blue soap. Don’t worry if the bases begin to harden a little, and start forming a skin. More soap will be poured on top, so an uneven texture is okay. 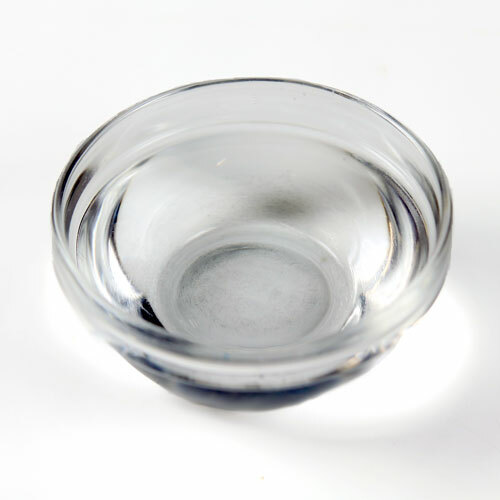 Spray with alcohol to help disperse bubbles. Continue to work quickly. 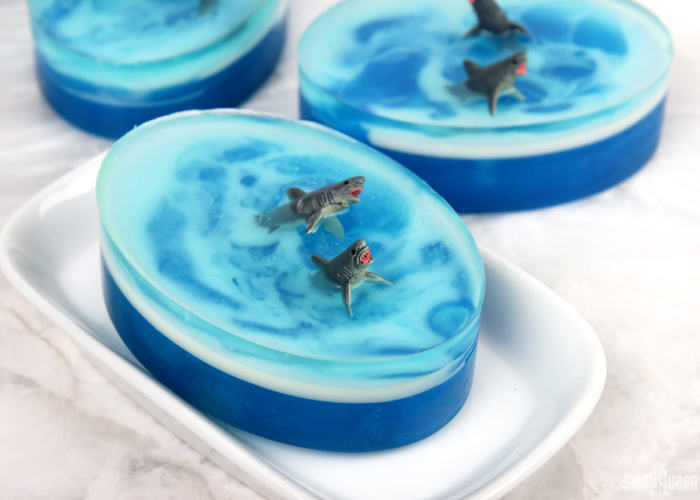 Insert 1-2 shark toys into the soap. At this point, the soap will have a thick skin on top, but should be slightly liquid underneath. 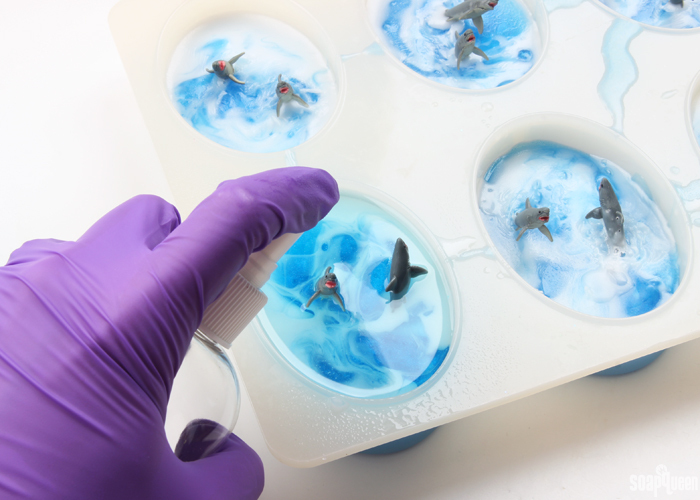 This allows the sharks to be inserted into the soap without them falling down. 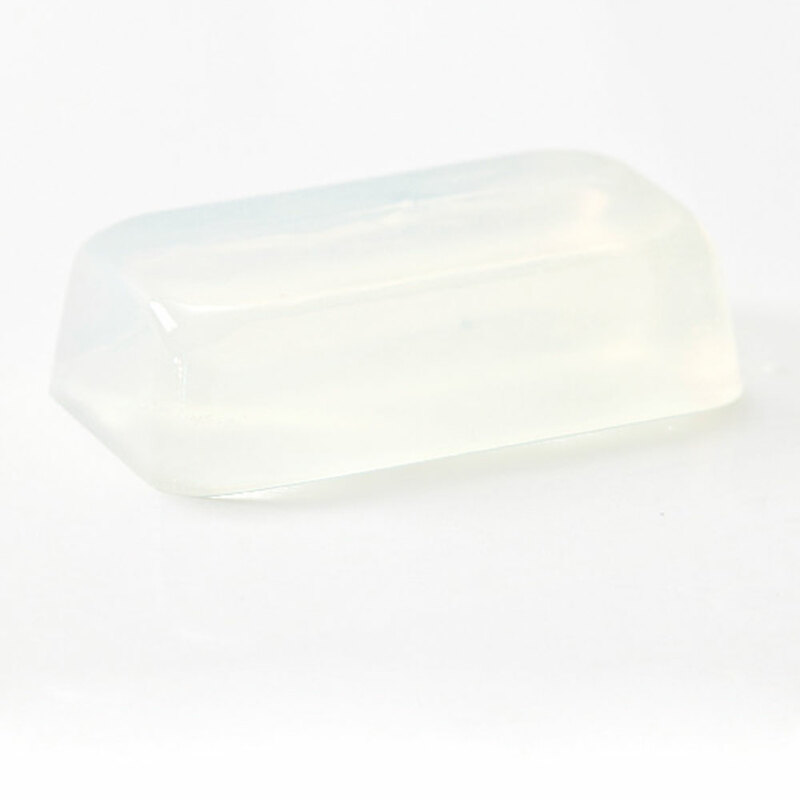 While the soap cools, chop and melt 6 ounces of the Stephenson Ultra Clear Soap Base in the microwave using 5-10 second bursts. Then, add 1-3 drops of diluted Brilliant Blue Lab Color. A little goes a long way! Stir to fully mix in. 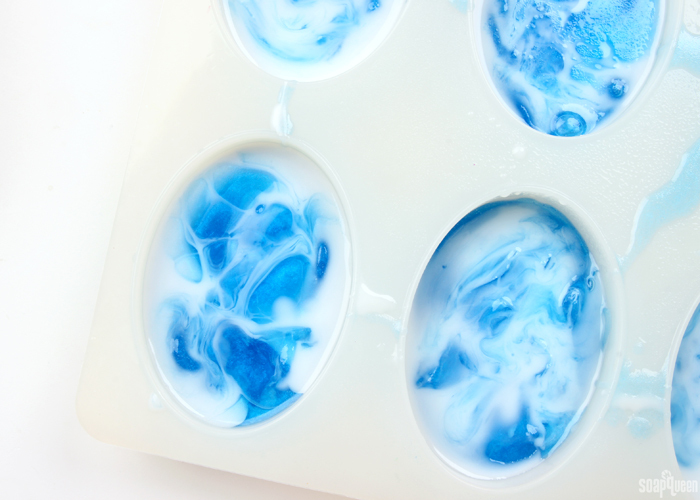 When the soap is around 125-130°F (so it won't melt the layers below), spray each cavity of soap with 99% isopropyl alcohol to help the layers stick and pour the melted blue soap on top of each cavity. This layer will help embed the sharks into the soap, but their heads should still pop out. Of course if you want to fully embed them, feel free! =) After pouring each layer, spritz the top with 99% isopropyl alcohol to help disperse bubbles. Allow the soap to fully cool and harden. Remove from the mold, and wrap in plastic wrap to help prevent glycerin dew. Learn more about storing handmade products here. So you only put fragrance in the first later? Can you add fragrance to the top layer too, or will that cloud it up ? This recipe doesn’t fill the cavities all the way up, you can see that in the pictures. We did that so there’s room to insert the sharks without the soap spilling over. If you’d like it to fill the cavities you can use 30 ounces. Love this! Where do you get the sharks from? Does this soap have a good lather? Do you have to use a preservative. My child has extremely sensitive skin? Yes but when you dilute the labcolor it says to use germaben can it be diluted with something else or can you use it as is? Can you use 90% alcohol? That’s all I have. Thanks! Is it ok to use two different brands of base? The sections will not separate over time? These are so cute! I love the swirly water effect. Awesome! Will be making those for sure. My kids will love them – so will all my friends that binge watch shark week! I LOVE these! I love shark week and these are adorable! while that is cute, it would be unpleasant to wash with once the soap wears down to have the sharks poking out both sides….and it would be a shame to demolish a soap to get the toys out.